Located on the trendy South-West coast of Mauritius, on freehold land (14.5Ha), La Balise Marina development comprises of 113 luxury residences. Villas and Duplexes have direct access to the sea either on the canals and marina quays or on the Grande-Rivière-Noire estuary. The development includes two marina basins, a commercial centre with restaurants, lifestyle shopping, nautical activities and “Le Sunset” facilities comprising of a spa, gym, kids club and restaurants as well as hosting Villa rental activities. 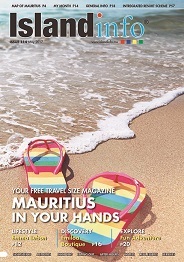 Foreigners acquiring property in the development get the added privilege of the Mauritian Permanent Residency and benefit from the unique opportunity in Mauritius to own a freehold residence with direct access on the sea. La Balise Marina’s concept is a mix of tradition and innovation: the architecture of the 113 residences harmoniously blends its Mauritian inspiration with a contemporary design, which is fully integrated in its coastal environment. The marina consists of 17 villas, ranging from 3 bedrooms residences of 429 m2 to 5 bedrooms residences of 482 m2, all fitted to international standards. The ground area varies from 1, 175 m2 to 3,320 m2. Facing the canals or situated near the river banks, each villa offers an environment suited to contemporary lifestyle: refined finishings and spacious rooms, open spaces overlooking a peaceful private garden, as well as an easy access from inside and outside the residence. Each of the 51 Marina Quay Duplexes offers around 200 m2 of contemporary life in a marina, directly overlooking the water: three bedrooms with en suite bathrooms and direct access to the anchorage. Located in the heart of the marina, they either overlook the “Sunset” pier or “La Balise” pier. With direct access to water, each residence has its own anchorage. The open spaces reflect the modern lifestyle of the marina that harmoniously blends with the surrounding landscape.